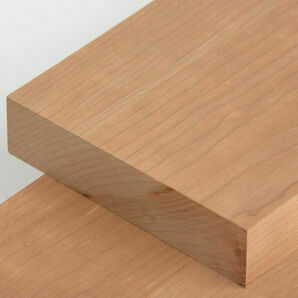 Don’t just imagine your project, but see and feel the wood. 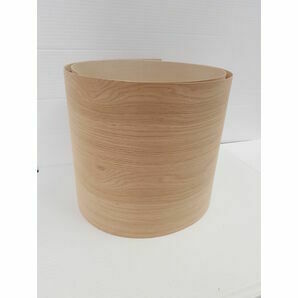 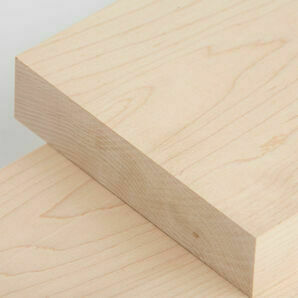 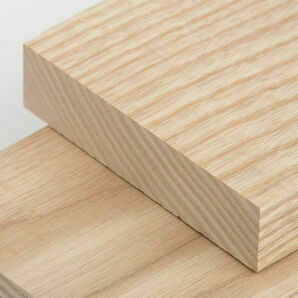 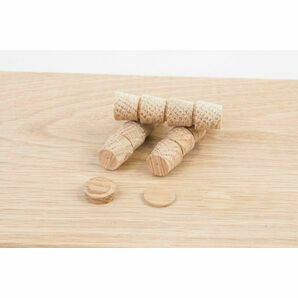 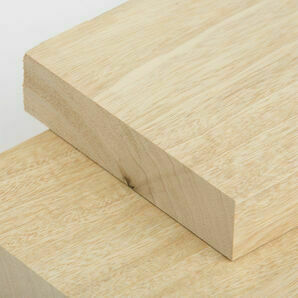 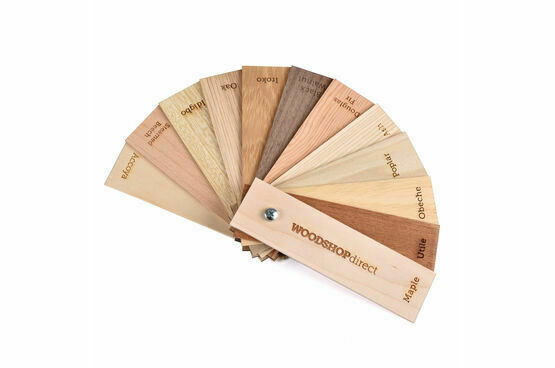 Why not purchase a fan of ten pieces of real wood samples; each piece measuring 40mm by 150mm by 2·5mm thick (approx.). 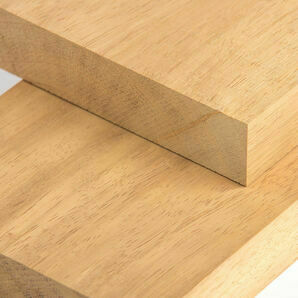 An ideal planning, design and discussion aid for use with colleagues and customers. 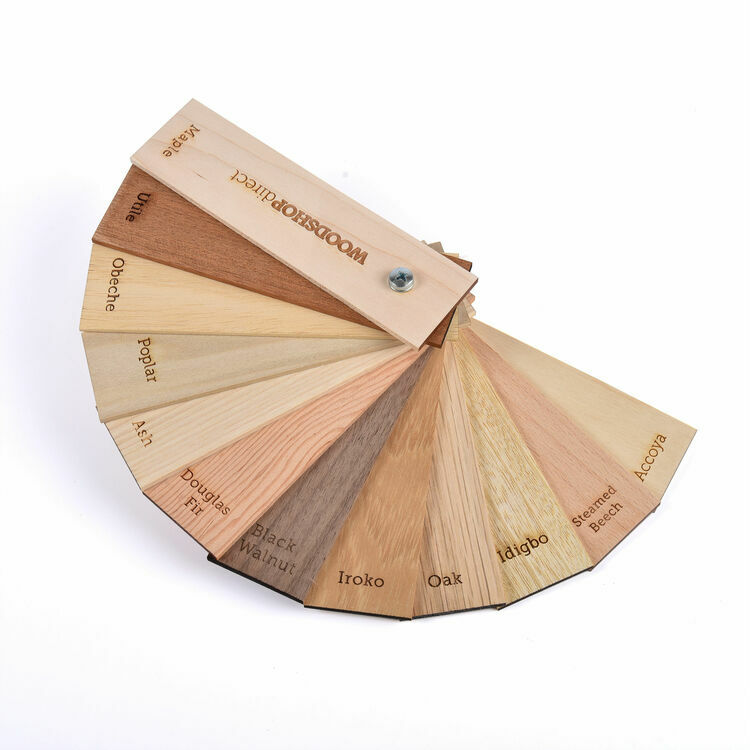 Each fan contains one sample of our most popular timbers European oak, obeche, ash, iroko, utile, poplar (tulipwood) maple, Douglas fir, black walnut and steamed beech, yellow pine, idigbo, cherry, accoya clearly labelled for reference. 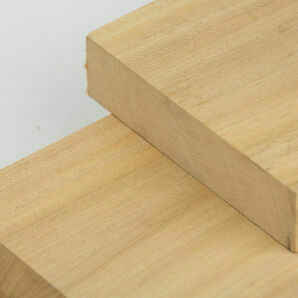 Natural light will over time affect the appearance of all timbers; by storing the fan closed when not in use this will help to maintain the fresh cut appearance. 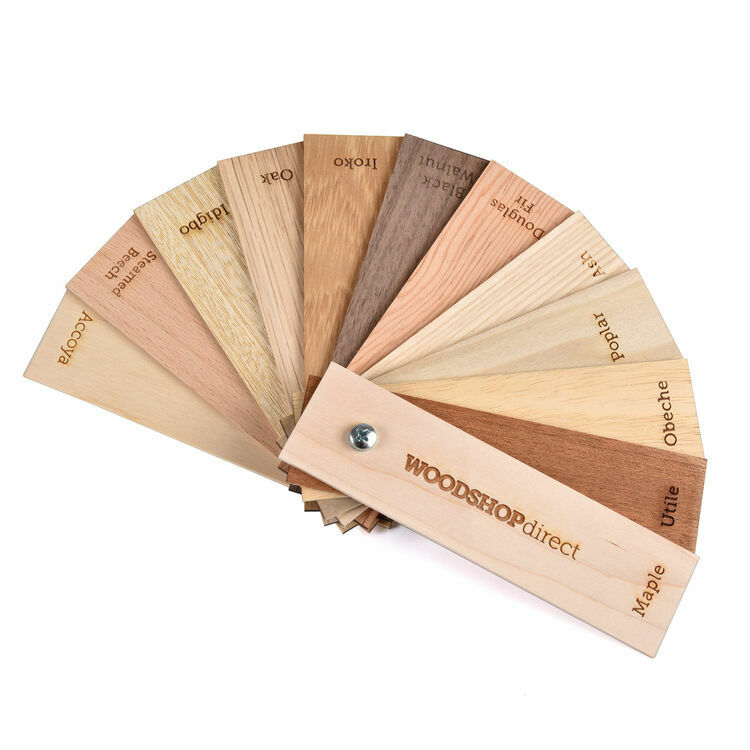 These fans are samples of unfinished wood and as such can only be an indication of the appearance of another piece of wood from the same spices. 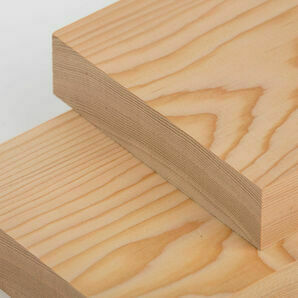 Each piece of wood is a natural product and as such unique. 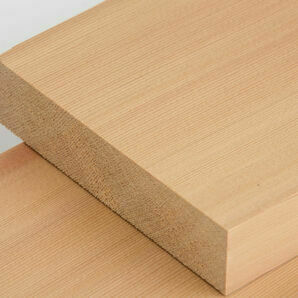 Some variation in grain patterns, knots, sap wood and colour must be expected.